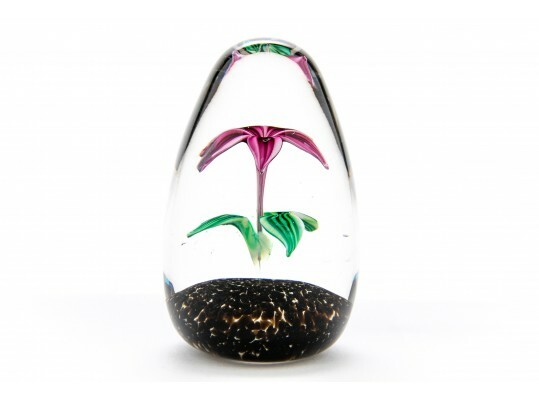 Strathearn's upright flower weight described as .."an open flower with leaves growing from a dark ground in a drop-shaped clear glass weight". Signed with an 'S' cane positioned on the ground. Stated colors were in green, madder (a reddish/pink color) and gentian (a rich, deep blue almost looking velvety purple at times). Condition: very good with notation of an old label under the base.